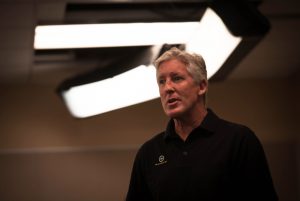 DLP teamed up with ESPN and Trent Dilfer at the Elite 11 Finals to showcase the next generation of great quarterbacks in a two-part series that pitted the nation’s top prep QBs against each other in a grueling week-long competition. 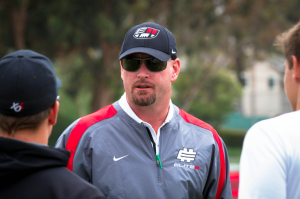 Numerous NFL starting quarterbacks and multiple Heisman Trophy winners have gone through the Elite 11 program and in doing so have developed Elite 11’s reputation as the most prestigious high school football camp. To reach the finals hundreds of America’s top high school quarterbacks competed at regional camps around the country for a chance to earn an invitation to the finals in Redondo Beach, CA. 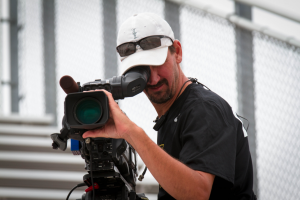 DLP was there to document the regional action in Dallas, Atlanta, New York, Columbus, Oakland, and Vegas. 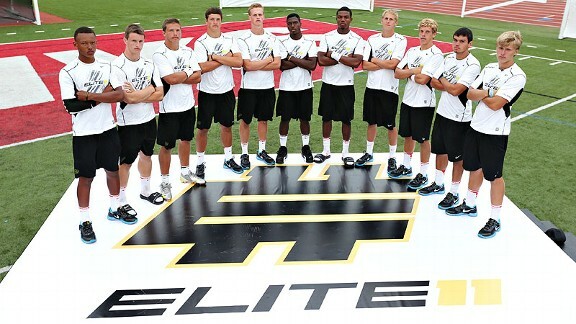 Of the 25 competitors invited to the Southern California finals, only 11 could make the cut and be named to the 2012 class of the Elite 11. The final 25 rising seniors were verbally committed to a number of the most iconic teams in college football including Alabama, Ohio State, USC, Notre Dame, Texas, Nebraska, LSU, Oklahoma, Michigan, and about a dozen other dominant programs. For many college football fans this was their first opportunity to see their school’s future signal caller on a national stage. 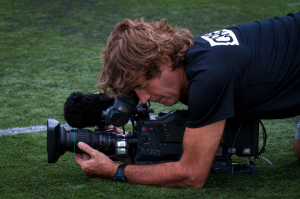 DLP took the field with a 40 person production crew that included game action Varicams, REDs for interviews, and a specialty crew that shot with F3 and DSLR. 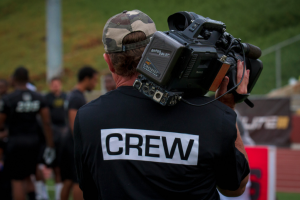 Collectively our cameras tracked the competition from closed door coaches’ meetings, to 7-on-7, a pre-dawn Navy Seal workout (clip below), film room critiques, an accuracy competition, beach workout, skit night, red zone drills, and eventually the final selection ceremony. 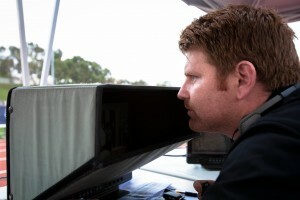 It was a pleasure doing a project with Trent Dilfer’s hard working crew and the DLP gang is looking forward to following the careers of all the great guys we got to know.